What can the white lions teach us about the role of humans in a sacred economy? Quite a bit! Lion-hearted leadership is fierce and soft. Like the lions, humans as a keystone species can wield our power with dignity and wisely shape the flows within the ecosystem for balance. 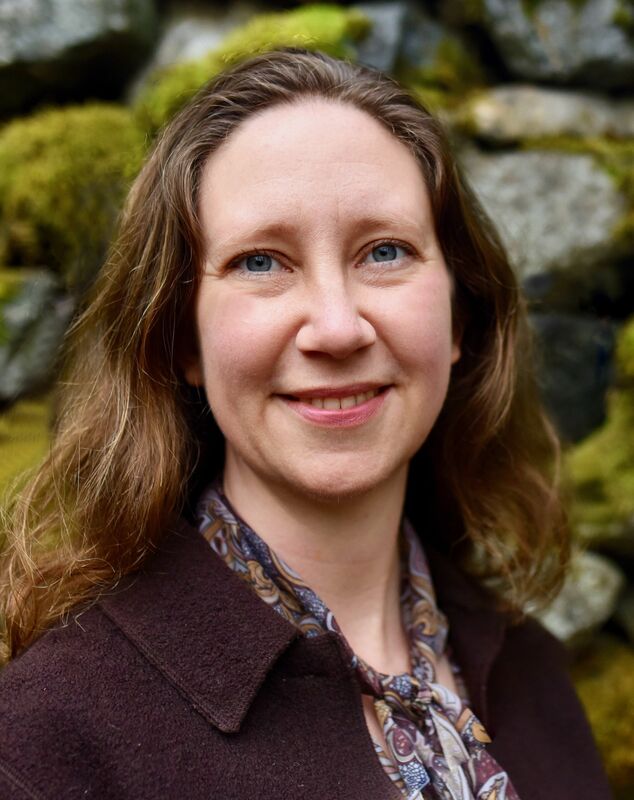 Listen in to this fascinating conversation with Samantha Sweetwater, discussing the qualities of the lion-hearted leadership. 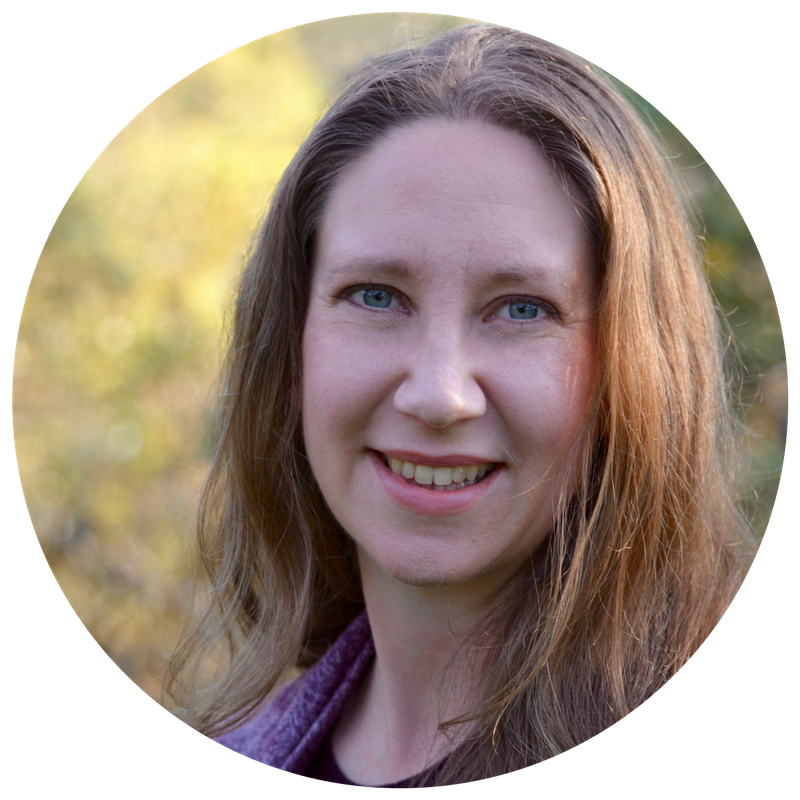 Samantha is a world-renowned facilitator, guide, and teacher who roots deep spiritual truths into everyday inspired action. Our delightful conversation uncovers practical advice that will influence your understanding of leadership. Will humans honor our place as the keystone species in this ecosystem by taking responsibility for our impact? What happens if we continue to disrespect this power? A keystone species is responsible for keeping the flows of energy moving. Landscapes literally change with the presence of predators who influence the behavior of herds and keep balance in the ecology. Like the lions, we can access our innate intelligence to create upward spirals of balanced prosperity in local watersheds and marketplaces. Humans are currently the most powerful living force shaping the planet. Will we have the courage to use our unique position to stabilize the life-sustaining systems? The economy is our human engineered ecosystem. Money is but one current of energy in this invisible web of exchange that sustains us. If humans take responsibility for our influence as a keystone species and utilize our collective intelligence than perhaps a life-honoring economy will be formed. The lion heart within us is connected to the pulsation of love and life. That love is essentially light, ever-buoyant and not dependent on external cause. This comes together with life, or the aspect of us that is profoundly and sublimely interconnected, Life which is entirely constructed of relationship. When we feel into this union of love and life we come into the tender heart of fearlessness. Courage is necessary in the terrain of money and value. Shame, fear and guilt have kept people silent about economic injustice for generations. It’s uncomfortable to acknowledge the recent generations of suffering from the poisoning and impoverishment of the world’s social and natural systems. Look at the slaughter of the lions, the most expensive dead animal of irreplaceable value shot for status. This example shows a bigger disease within the human psyche, a confusion about value and status. The hungry commodification of our planet has destroyed actual worth for symbols of value. Essential elements of survival such as water, seeds, even human life now have a price tag. The pain from this confusion about value manifests within and without. Mistaking money for self-worth has caused immense individual suffering and even suicide. This modern obsession with crass expressions of status obscures the deeper longing for each soul to express their unique gifts. Beneath superficial appearance is a yearning to share authentically and be acknowledged for our magnificence. This type of exchange brings a deep soul-sigh satisfaction and remembrance of how valuable we truly are. Perhaps you’ve experienced that joy of contributing value in a natural “flow-state” where you are in your creative element. We access our innate genius by focusing on what is uniquely ours to do, we naturally create true wealth. This value is then amplified when in the presence of a receptive tribe. Through this sacred flow of exchange, humans access the individual creative capacity. 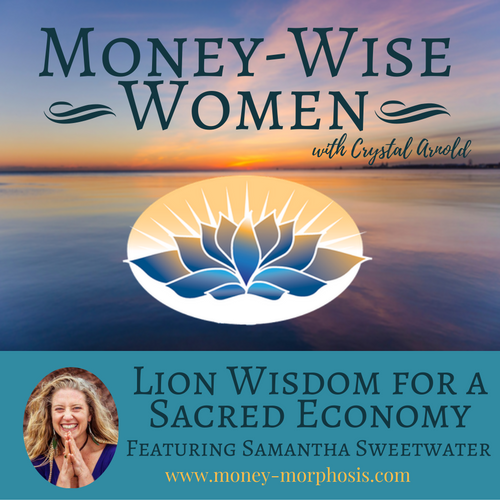 We discuss the nobility of money and sacredness of our economy. It is a revolutionary act to voice our innate value when modern society drives individuals to consume more just to be enough. Pioneers are bringing the sacred into economics. Humans have bankrupted the world, disillusioned by the myth of more is better. No living system can sustain the endless growth that modern capitalism demands. Fortunately, courageous humans are fiercely dedicated to emergent systems of coordination and exchange that amplify an individual’s unique genius. 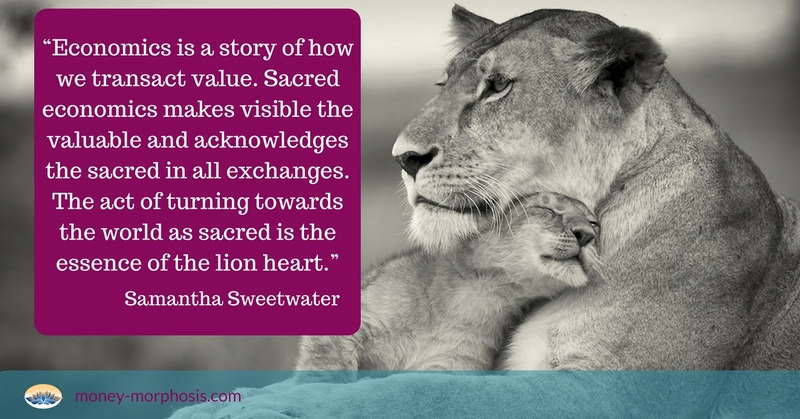 Lions can show us how to engage with reverence with the human-ecosystem called the economy. With regal dignity this predator uses their power with restraint, hunting only when necessary. Look how the lion prides organize and cooperate. They cull the old, sick, and weak from the population and maintain a balance of the living systems. The nobility of the lion pride has roots in effective collaboration, where each lion within the pride claims their role. The transformation into a sacred economy begins within. Expanding our capacity for self-love generates an upward spiral. More simply, when we nurture ourselves we are happier and have more to contribute. Connected to that spiritual fountain of vitality we uplift and exchange with others through voice, movement, ceremony, even through the marketplace. 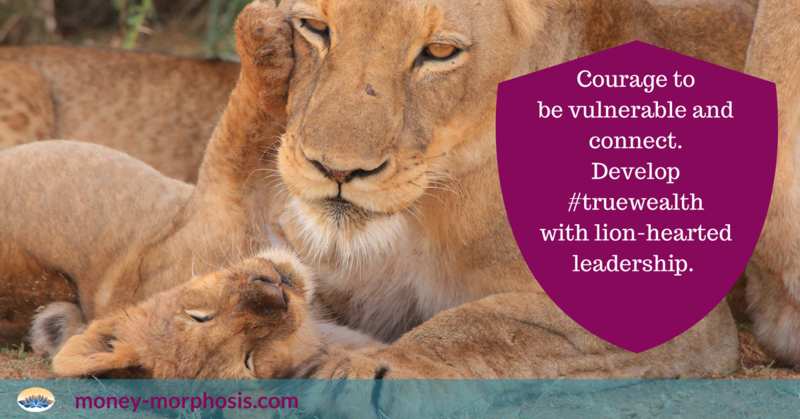 Do you have courage to value your soul’s authentic expression? The lions are calling, how will humanity respond?